With the current state of the economy, there are a lot of folks who are out of work and looking for jobs. There are also many who have found that they are underemployed and need something more. At the same time, there are young people graduating from college and entering the workforce. Others have jobs and are unhappy and simply want a change. It is a very competitive job market. You want to put your best foot forward and make the best impression possible to improve your chances. One of the first things a potential employer sees is your résuméor CV, so you want to make that resume stand out as much as possible. It is very tempting to “pad” your résuméby lying or stretching the truth to make yourself seem more appealing. DON’T do it! You will most likely be found out, and it could be very embarrassing and lead to problems down the road. Even if you have never had a job before, you have plenty of experience and great accomplishments that make you appealing to employers and give you a competitive edge over these other candidates. This is simply a handy guide to help you remember what those are. When learning how to write your first résumé, you are usually taught to list your most important responsibilities for each employer. You should do this, but you should also list your accomplishments first. Even if you feel like you didn’t accomplish anything beyond what was required of you in your role, you did indeed accomplish something. Perfect attendance, receiving 100% positive feedback, perfect shopper scores and being asked to train people are all accomplishments that a potential employer would like to know about. If you won an award, implemented a new system, created a training program or were asked to speak at a convention, mention those things first. Even if you don’t volunteer regularly, almost everyone has volunteered at some time, so remember to include it, even if it is just a line in a section for “other experience.” Make a list of things you have done, even if they were one time things. Running a bake sale doesn’t seem like a big deal, but it illustrates your leadership ability and organizational skills along with how responsible you are. Include ongoing volunteer engagements in the same manner as you would a job. If you have had several of these, think about making this a dedicated section in your résumé. Make sure you list your accomplishments and responsibilities just as you would with any other role. If you don’t have a lot of employment experience, start volunteering now. Wherever you live, there surely are organizations that need your help. There are also legitimate online volunteering experiences as well that can help prepare you for future employment. 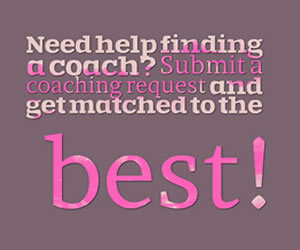 List any training you have had, including additional training or development classes you have participated in. The one day sales class you took last fall or the computer workshop your last employer made compulsory is just the ticket. This shows that you have a commitment to development and growth, features that are usually very attractive in a potential employee. Be sure to mention your formal education. If you hold a university degree, you don’t need to dig back to high school, but list all institutions of higher learning you attended. If your highest level of education achieved was high school or a GED, be sure to list that as well. This is a quick way to showcase your skills and hard work so be sure to list the following for all institutions listed: majors, degrees earned, special courses completed, honors, accomplishments, extracurricular activities, awards or anything else of note. It is also never too late to go back to school. There are plenty of opportunities for personal enrichment and career development for folks of any age and any education level. E-learning is a great way for a busy working adult to get the education that allows them to take their career to the next level or change fields, and there are also more traditional universities and community colleges that offer flexible courses (on-line or in person) to fit any schedule. You could also take a course or workshop to hone a skill or learn something new. There are paid and free courses available online. There are also a host of private courses and public classes hosted at community centers, libraries and lots of other places. For almost every skill you want to develop, someone is teaching it. You should never lie on your résumé; if your new boss ever finds out about it, you will almost definitely lose your job. You can pad your résumé with things you have already done, but maybe forgot about, to make yourself an appealing, competitive candidate. There are plenty of other ways you can boost your résumé and make it stronger while staying completely honest, but these are three simple ways to give yourself a greater edge when job seeking. Remember you don’t have to list everything you’ve ever done and every responsibility you have had in every role, but make sure to hit the highlights. 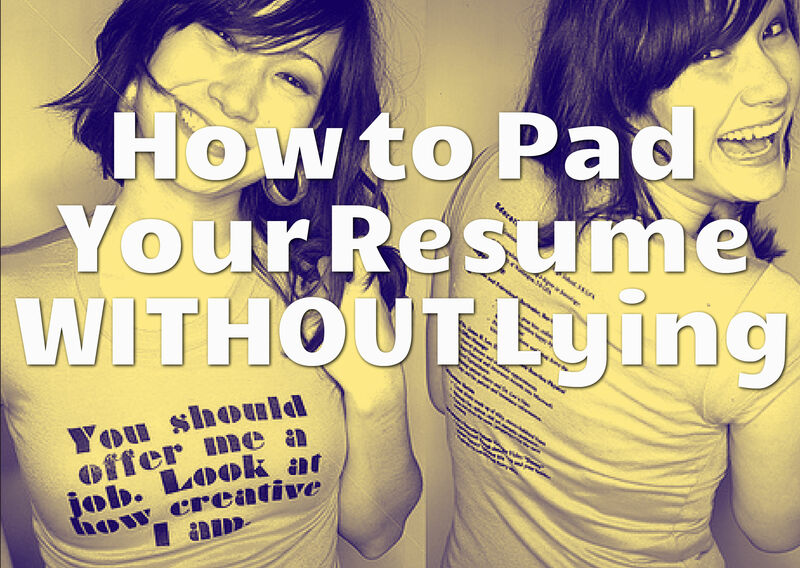 If your résumé ends up a little long, don’t sweat it. In the internet age, longer résumé s are much more acceptable, and with the great experience and fantastic accomplishments found within, you soon-to-be boss will be happy to read it. Thanks for this Julie. My son is in his final semester at university and is applying for internships and entry-level positions. I'll forward your suggestions to him as I'm sure he will find this info very useful in his job hunt. I've told him time and time again that lying on his resume will get him nowhere because at the end of the day, the truth will always come out and it will bite you hard! 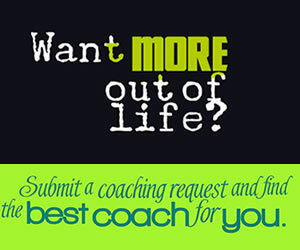 Choose a Top Coach for career	success today!